I just discovered that Letterboxd has added a new category to user stats: Crew. 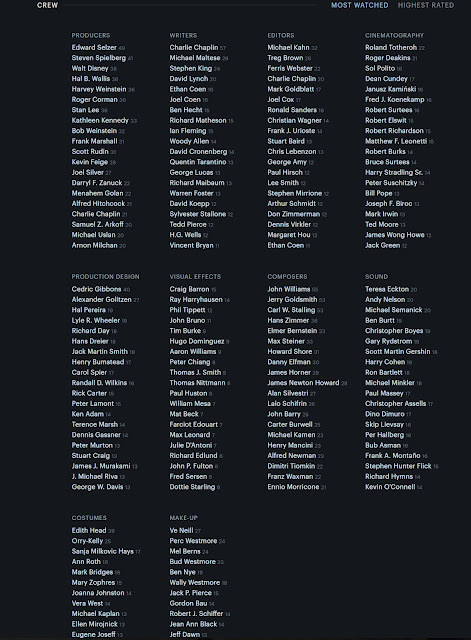 Just as it inventories your most-watched directors, stars, decades and so on, Letterboxd now reveals how many movies you've seen by producers, writers, editors and more. My all-time list is above. Pretty cool!